It’s been about four months since I announced that I was shifting my business back to copywriting and content strategy after a couple years of focusing on books and magazine articles. And as the last days of April come to their close, it’s time to look back on the month’s projects, clients, and income, as promised. So, how did I make my living while traveling full-time in April 2017? As you may know, my primary income comes from copywriting and content strategy, which essentially means I create strategies and write content for websites, brochures, billboards, headlines, etc. I mostly do this for companies in travel and tech. In April, my income percentages looked like this: copywriting and content strategy (48%), DIY website workshops (15%), travel writing (11%), website consulting (6%), book sales (19%), and affiliate sales (1%). This is a pretty typical breakdown for me these days (though the DIY Website Workshop is new). Affiliate sales are always a very tiny portion of my income and content strategy and copywriting usually make up the vast majority of it. What kind of clients do you work with? Where are they based (are they all in the US?)? How many clients do you take on at a time? As for new business, I sent estimates out to two new strategy/writing clients, one a marketing consultancy in Ireland and the other a cool tech website out of the UK. I’m still waiting to see if some new work comes in from an old ad agency client in Colorado (who I sent some estimates to in March). And as the month drew toward its close, I got requests for three more US project pitches (which will go out in May), two from clients or consultants I worked with years ago who were (happily) circling back with new projects and one from a new prospective client who found me through an interview I did with SheNomads. All three of those requests were from US-based companies. In April, I also officially launched the website for my new DIY Website Workshop—a 7-week course that helps creatives, entrepreneurs, and small business owners create and launch a professional website without the confusion and typical mistakes of trying to do it solo and without the massive price tag of hiring an agency to do the whole thing for you. The course officially starts May 15 and there are still some slots left if you’d like to join. I’ve limited it to 10 people and am guessing the group will be smaller (which will be perfect for the first run), with perhaps 3 – 5. Since I run my location-independent business from the road, it’ll come as no surprise that this month, I was working against a backdrop of green hills and orange tile rooftops in Lapad, which is a residential part of Dubrovnik, Croatia. It’s been a good location for reliable Wi-Fi (always a HUGE thing for those working from the road) and for pretty seaside walks, but a bit of a tough location for technical issues, which I (so unfortunately) ran into just after we arrived. If you need to get an Apple product fixed, let me tell you, Dubrovnik is not the place to do that. If you have a major tech malfunction, be prepared to use your backup tech or book a flight to a major city with an Apple store. As for work-life balance, I worked about 20 – 30 hours a week (quite a bit for me), but also spent time every week working on side projects like my novel. 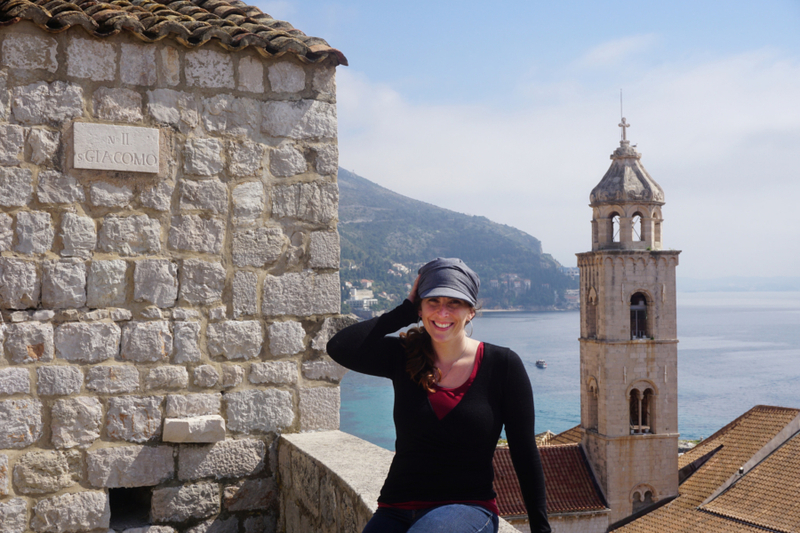 In large part, this is because I didn’t fall in love with Dubrovnik the same way I’ve loved places like Slovenia or the Swiss Alps or Ghent, Belgium. The more I love a place, the more I get out and explore it. But Dubrovnik, while it certainly does have some interesting things on offer, just didn’t charm me the same way. I didn’t crave more time to explore. And so instead I turned to my personal projects and took on a bit more in terms of work projects as well. Are you a freelancer? Tell us about your month! Not a freelancer, but hoping to become one? Feel free to drop any questions you might have in the comments and you’re welcome to join my Facebook business group where we talk all things entrepreneurship, business, and web. I’m glad things are going well for you. It sounds like taking on more copywriting work again has been a good direction for you. Sorry Dubrovnik didn’t charm you so much. I only spent a day there years ago, so I’m looking forward to a repeat visit. It’s certainly photogenic! 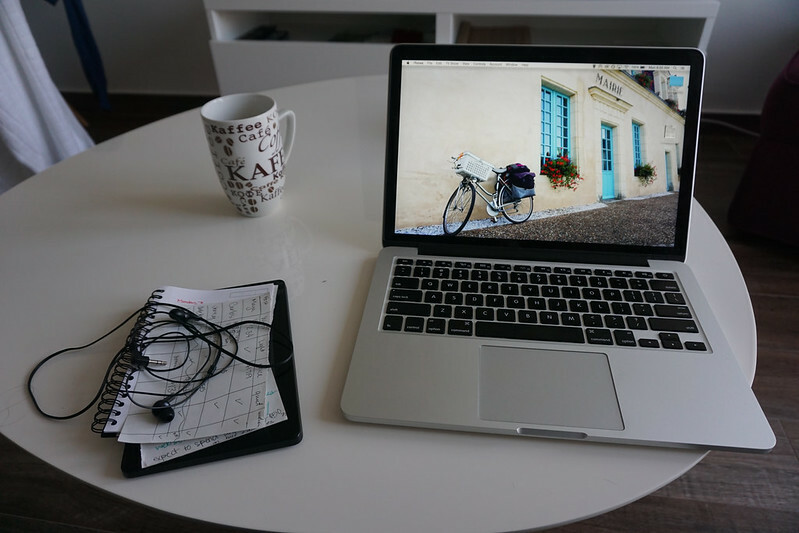 Ali recently posted…How Do You Make Money From a Blog? Thanks! Yes, taking on more copy work was definitely the right decision. I’m still hoping to stabilize things further (another 1 – 2 ongoing clients would be amazing), but really happy that things are much more stable this year than last. Next time try the Istrian Peninsula! We cycled there two years ago and fell in love. I’m curious how you go about finding your clients. I have a writing background and have been writing for magazine while on the road. Now that we’ve stopped for a little while, is like to focus on expanding my reach through copywriting. It seems like you work with a wide variety of businesses. Do you have a recommendation for where to start looking and reaching out when you’re brand new? Thanks so much for any advice and for sharing your breakdown! I did Istria a few years ago – so lovely! I based in Rovinj and took a trip or two up into the countryside. 1) Since copywriting can be notoriously hard to get into until you’ve got a project or two under your belt, consider doing a pro-bono project or two for a charity/charities you admire. Having a portfolio piece or two specific to copy/web writing can be huge when you’re getting those first clients. 2) People still love face to face. I have had great luck with conferences (Confab is my favorite, but if you’re not in the US, there are good conferences all over). 3) Just letting friends, family, colleagues, and blog readers know what you’re doing could result in some clients. My first clients were mostly those kinds of connections – colleagues I’d worked with a the ad agency who had moved onto new jobs, friends of friends, people I met at content meet-ups. I’ve also gotten leads through my blog itself, so definitely put it out there if you’re looking for that type of work. 4) There are a couple good Facebook networking groups for copywriters. Jury’s still out for me on some of the things I’m trying right now, but look up the Cult of Copy Job Board. There are copywriting jobs posted there daily. I haven’t yet signed anything through the board, but I’m giving it a few months and sending out a pitch here and there to see if it turns out to be a good resource. Thanks so much for all of these tips. I definitely haven’t yet put it out there to the world, so that’s definitely the place to start. We stayed a little over a week in Rovinj and loved it so much! Nice post, Gigi! I’m a big Slovenia fan too – beautiful country. Got my best high-paying client while checking my laptop on the shores if Lake Bled (it lead to over $40,000 worth of work over the next 18 months). Personally, I make travelling blog. 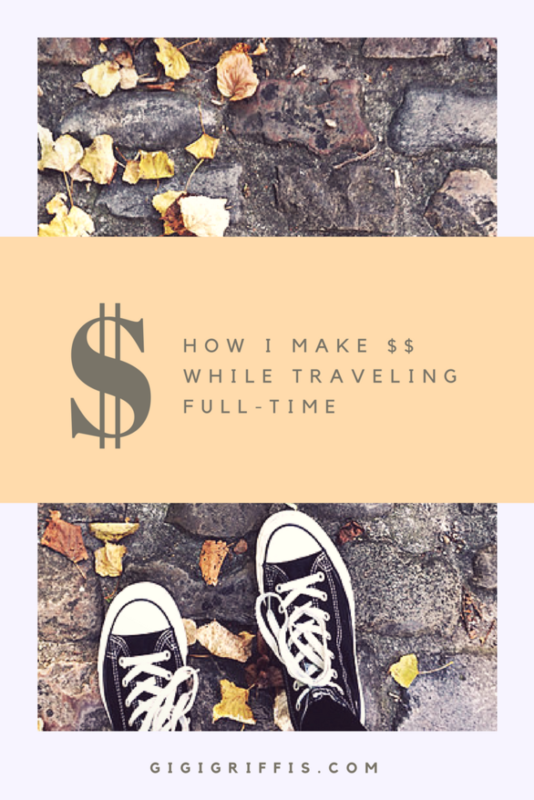 It’s not easy to earn a big income with a travel blog. The amount of time/effort required to do so is much more than most people imagine. But if you’re looking for some extra cash to help fund part of your travels, while keeping the world informed of your adventures, starting a travel blog might be your answer. 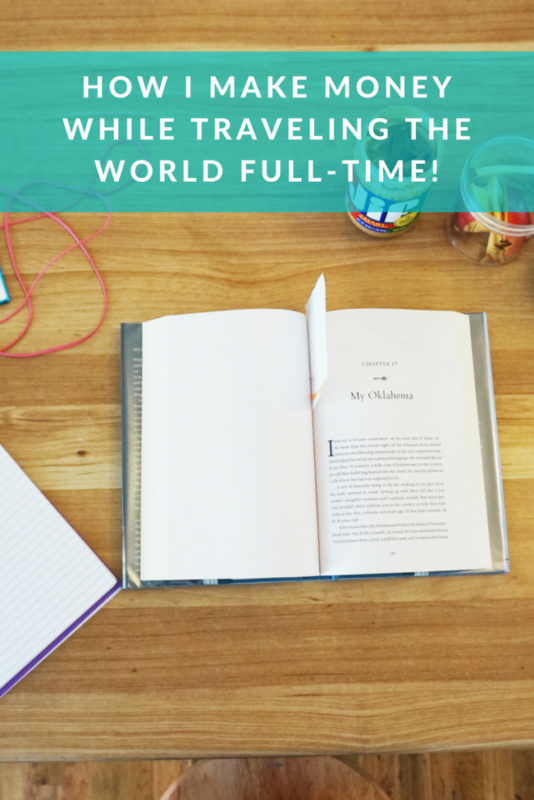 I actually usually recommend that people do something other than travel blogging if they need extra income. 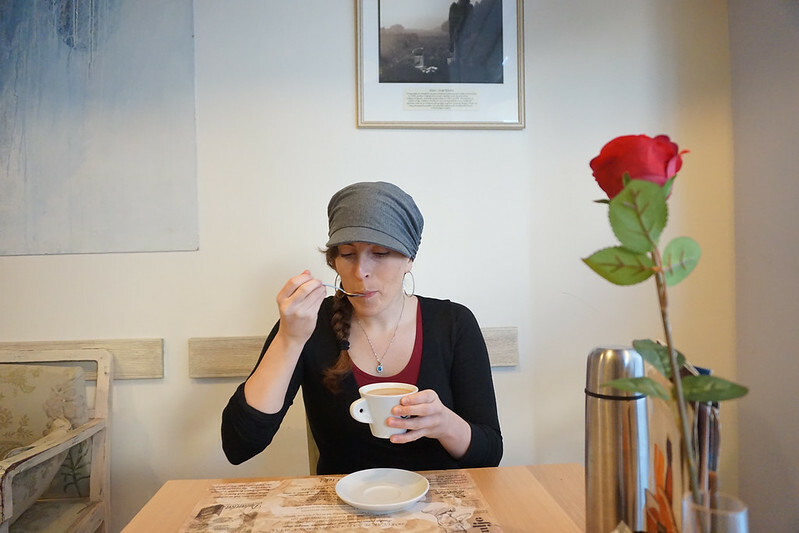 Most travel bloggers don’t make much and the amount of effort that goes into it is pretty high. 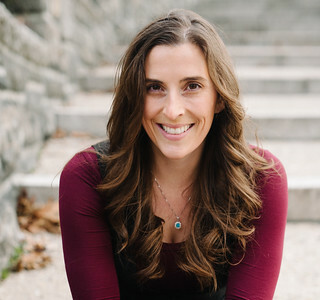 I actually interviewed a bunch of bloggers about how they make their money and most use their blogs to sell books or tours or services: https://gigigriffis.com/how-do-travel-bloggers-make-money/. What a great post! I’m new to the freelance world as a content strategist. I ended my first full month with 3 clients (2 retainers, 1 project-based) and 1 proposal sent. It was a fun first month! Balancing how much work to take on has proven to be the toughest part, especially while traveling. I want to leave time to explore and relax, but I don’t want to say no to clients or risk having too little work. Yes! Finding that balance is tough and takes time, for sure! Next time try the Istrian Peninsula! We cycled there two years ago and fell in love. I’m curious how you go about finding your clients. I’ve been, actually! Based in Rovinj. :) If you go through all my behind-the-scenes posts, you’ll see how I got new clients each quarter.